When you have WordPress Multisite active, all users are shared between all blogs because the wp_users table is the same for all blogs. before_signup_header – we’ll use this action to redirect all users from /wp_signup.php to the homepage of the site they accessed it from. Description: Block default registration page in multisite. Other registration pages may be used. This should be activated network wide. Go a head an activate this plugin network wide. Now that you can’t register on any site in the network since we’re redirecting them to the homepage of the current site, we need to enable registration on a particular subsite only. We’ll do that using the free Profile Builder plugin and the [wppb-register] shortcode. That is all. You can take this further as to adding a login page using [wppb-login] shortcode or widget. As for limitations, this won’t work if you enable user registration + blog creation. Profile Builder currently doesn’t support blog creation. I am using “Theme My Login” and network activated this plugin, but users will still be redirect to the main site for registration. 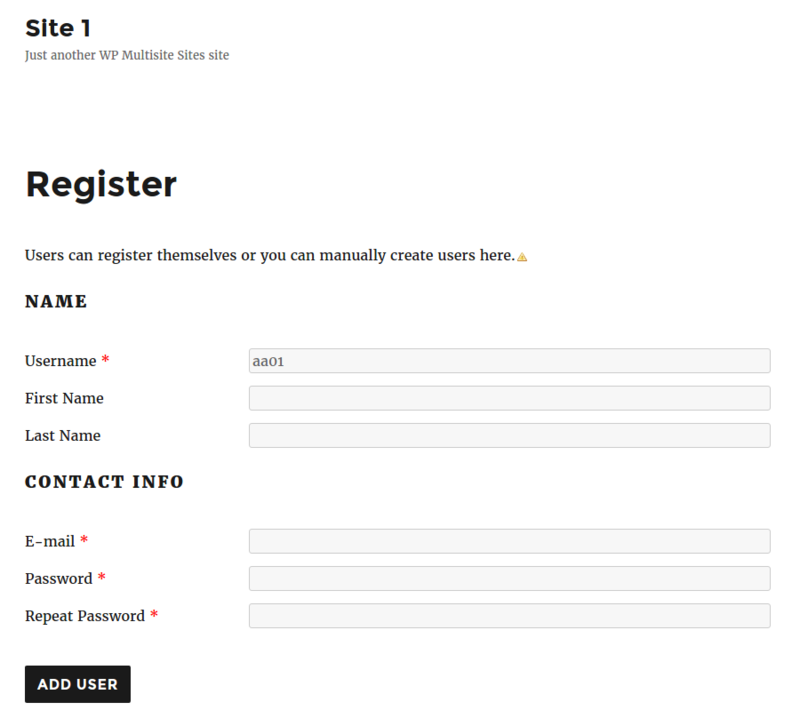 What this mini plugin does is simply blocks the default signup registration form. So when users click the Theme My Login registration form they get redirected to the homepage. What you need is remove the registration link in Theme My Login, and under it, place a link to a register page created with the [wppb-register] shortcode from Profile Builder.